FaxFX provides a safe, free way to fax online content to a host of different devices. It may be surprising to know that the concept was born a long time ago as many people associate the fax machine with 80’s industry. Its original patent was actually granted 173 years ago, to Scottish inventor Alexander Bain. We can send fax online today because of Bain’s forward thinking. His ideas kick-started a long journey to develop the services provided by FaxFX. We focus on providing the means to send a fax online through VoIP. Bain patented the first electric clock and invented the earliest version of a fax machine, marking him as successful and setting him apart. He began his working life as a clock maker’s apprentice; interestingly it was his knowledge of clocks that allowed him to develop a method for scanning and reproducing messages by synchronising duel moving pendulums. As a result he was able to transmit a blurry image and the wheels of technological innovation were set in motion. Many notable people like Frederick Bakewell, Giovanni Caselli and Elisha Gray spurred the evolution of the fax machine. It has transformed from a primitive but clever device to an absolute essential. The technological privileges we have given us access to becoming possible when others began the process long ago. When a great invention comes along we must remember all the work that came before it. Technology has move so far since Bain was granted his patent in 1843, things change quickly and technology must adapt along with the rest of us. 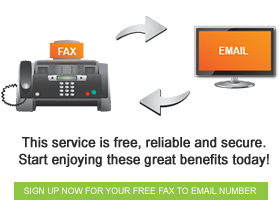 FaxFX achieved evolution when we undertook to provide a free, safe and reliable online faxing service. Register for a free account with us and start sending free online faxes today.